Meanwhile, Russian public opinion seems to be taking a sway against organizations receiving foreign financing, as evidenced by hostile viewer calls to independent Russia television programs that have examined the decision of the Kremlin to clamp down on Russian NGOs that receive funding from abroad. As USAID was busy packing its bags Monday, President Vladimir Putin proposed bringing nonprofit groups that provide social services under closer government supervision, according to the Interfax news agency. A plan outlining criteria for evaluating the quality of services provided by nonprofits, as well as a public ratings system, should be finalized by April 1, Putin said Monday, Interfax said. The Environment and Rights Center (ERC) Bellona also received a one-time donation from USAID, but is not dependent on the organization for its operations. And, rather than a sudden turn about, Nikitin characterized the booting of USAID as part of a carefully orchestrated 2008 decree that Putin signed while prime minister. The decree severely limited the number of international organizations that were allowed to issue tax-free grants in Russia from 111 to just 12. An overwhelming preponderance of the organizations that were be forbidden to finance tax-free grants in Russia from January 1st, 2009 on, according to Putin’s decree, were environmental, humanitarian, and rights organizations such and the World Wildlife Fund (WWF) and the international Red Cross. 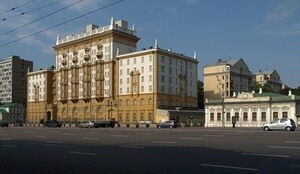 Bellona’s work in Russia, however, was not affected. Both of Bellona’s Russia offices are registered as Russian NGOs and receive donations rather than grants, which are not taxable under Russian law. But now, said Nikitin, the list of organizations allowed to give tax-free grants in Russia is again being choked, and USAID was part of the collateral damage. This summer’s addition of the new amendment to Russia’s NGO laws requiring NGOs that receive foreign funding to register as foreign agents, said Nikitin, is a logical continuation of Putin’s 2008 decree. More alarming, said Nikitin, is that the Russian public seems to be in lockstep with the Kremlin. Nataliya Yevdokimova head of legislation research and analysis for ERC Bellona, and host of the St. Petersburg-based talk show Sotsium on the channel VOT, noted this accord with Kremlin policy during her broadcast last Thursday, which was dedicated to a discussion of civil society development in Russia. One of her guests was Tatyana Dorutina of the League of Voters human rights group, which helps monitor elections. During the call in period for viewers, Yevdokimova and Dorutina and were assailed by hostile questions regarding the origins of League of Voters funding and funding for NGO’s in general, accusing them of receiving money for laundering and spying purposes. Polls have long showed that the majority of Russians receive their news from the four state controlled networks in Russia, which have consistently depicted opposition to Putin as the work of deep-pocketed American puppet-masters. Nikitin says people are believing what they are being fed. The USAID expulsion and the new NGO law amendments are part of a pile up of recent government actions spearheaded by the United Russia party to stymie dissent. On the same day USAID was asked to leave, Russia’s Central Bank announced it would investigate as potential money laundering or financing for terrorists any transfers to NGOs coming from abroad, the daily Kommersant reported. Banks that receive funding transfers for Russian NGOs from abroad will henceforth be requited to report the transfers to the Russian Federal Financial Monitoring service, the paper said. “After this bill is adopted as law, practically every citizen of Russia that works abroad or with foreign organizations could at any moment be hauled in on espionage charges because these laws actually state that the characteristics [defining espionage] are ‘furnishing financial, material, technical, consultative or other help to a foreign state, or international or foreign organization,’” said Nikitin. Among those NGOs most prominently impacted by USAID’s departure is Golos, the country’s biggest independent election monitor, whose reports of violations that assured good returns for the Kremlin’s United Russia party during the State Duma elections in December helped spark massive street protests. Golos pledged in a statement to continue monitoring elections “no matter what” when it was announced USAID was getting the boot. Golos expects to provide an online map of elections violations, a free hotline, and training for vote monitors in 22 regions, its statement last week said. This is because nonprofits are allowed to spend grant money that they’ve already received, she told the paper. Like Golos, other NGOs are trying to cobble together funding from other sources, and US officials have been trying to find different vehicles to support them. But judging by Nikitin’s observations in the media of anti-foreign sentiment, this may not be the best approach. Ironically, the United Russia political party that has championed these rights rollbacks has been a beneficiary of USAID funding training sessions, according reports by ABC News. “Representatives of the United Russia party and their affiliates regularly participate,” confirmed Cathy Gest, a spokeswoman for the National Democratic Institute which conducted the sessions for USAID, in an email to ABC last week. United Russia officials denied the claims, while Gest declined to specify which officials had attended which programs and when. In remarks hard to square with his actions since assuming his third term as president in May, Putin yesterday insisted that Russia’s policy to NGO’s was unrestrictive. “We don’t have any limits or bans on NGOs’ use of funds and aid, including that provided by foreign donors. This will only be welcomed,” Interfax quoted him as saying. Yelena Gerasimova, director of the Center for Social and Labor Rights, which received USAID funding, told the Moscow Times she doubted whether Putin’s proposed ratings system or additional funds would be useful or fair. Her organization spent three years applying for grants through the Public Chamber, which yielded nothing. And even if they had, Russian government grants tend to be small, narrowly focused and wrapped in red tape, she told the paper. In a lengthy post yesterday on his Live Journal blog, the US Ambassador in Moscow Michael McFaul vigorously defended USAID’s record over two decades in Russia. “USAID programs, always developed in cooperation with Russian partners, have contributed to improving public health and combating infectious diseases, addressing child welfare issues, protecting the environment, developing a stronger civil society, and modernizing the economy,” he wrote. USAID has spent about $2.6 billion in Russia since its inception in 1992, and this year’s budget was about $50 million, with $29 million of that directed toward projects promoting democracy and civil society and $18 million targeted toward people, mostly in health programs, US officials have reported.